Employers — urged by the Workplace Safety and Insurance Board (WSIB) in Ontario —now have increased focus on claims management for work-related injuries, as well as early and safe return to work (ESRTW). This has resulted in health and safety and human resource professionals being given additional duties, often very complicated. If mismanaged, these added responsibilities can cost companies money, time, respect and integrity. Excellence in Manufacturing Consortium (EMC) — Canada’s largest manufacturing consortium and a leading sponsor of WSIB’s Safety Groups program — and our manufacturers across the province have been quick to recognize the need for greater awareness, understanding and best practices for improving claims management. As EMC’s manager of environmental health & safety and safety groups, I have been working extensively with members and all manufacturing employers, to help develop strong claims management teams and industry-leading best practice solutions. This powerful peer-to-peer networking approach has allowed us to drill down to the core issues and engage manufacturing-driven solutions. All parties involved, including supervisors to the union steward, to the physician and treating therapists, the WSIB claims manager, the joint health and safety committee, and even other uninjured employees have critical involvement in managing claims. Clearly defined roles and responsibilities is an employer resource, allowing them to intervene if someone is not doing their job. Action: Develop a program that clearly defines the roles and responsibilities of all parties. As an employer, you must ensure you have trained your employees on their roles and responsibilities under your RTW Program. Medical professionals need to be informed of your program and their roles; this is often done via letter attached to the functional ability form. WSIB must be aware of your program and that you are actively monitoring all parties. Action: Communicate to and train all applicable parties on their roles and responsibilities. This is a significant step towards good claims management. The legislation clearly defines what an injury is and what your reporting responsibilities are as an employer. There are situations where an injury is so minor that it does not require the filing of a Form 7, but employers must keep a record of the minor incidents and ensure that the employees recover fully. Action:[/strong] Ensure your documentation is in compliance with legislated standards. Sometimes an employee will indicate that they do not want to file a claim or an employer does not feel that the injury warrants a claim. These are not your decisions to make. File all claims and allow WSIB to decide what claims are allowed. Failing to report injuries will result in greater long-term loss than any perceived short-term gain. Action: Report all claims to WSIB regardless of your opinion on the claim. Whether an employee chooses (or not) to file a Form 6, follow up with a physician or attend an appointment, it is their decision. This decision should not involve or be influenced by the employer. As an employer, you need to encourage the employee to follow the appropriate steps when reporting and recovering from an injury. Action: [/strong] Encourage employees to follow appropriate steps, but do not influence/interfere in their decisions. Lost time injuries and non-work-related injuries should be managed in the same manner. If an employee hurts his or her back at home and is allowed to take six to eight weeks off, without the company accommodating for the injury, how will another employee, who injures their back at work, react when they are required to participate in the RTW program? Employees could view this as unfair practice and refuse to participate. This can result in complicated claims and conflict among the company, the treating professionals and the employee. Action: Ensure your RTW program looks at all employee injuries, regardless of source. Just because ‘Joe Greatguy’ is a stand up employee and well-liked by all, it does not mean he or she should get preferential treatment if injured. You need to have a program that will treat all injuries and all parties the same way. RTW is a program similar to any production program, with steps being followed and controls in place. No one person is more important than another and no one is discriminated against. Action: Ensure you treat all injuries and all parties equally. As a claims manager my goal was always to return the employee to their pre-injury job with no restrictions and no risk of further injury. 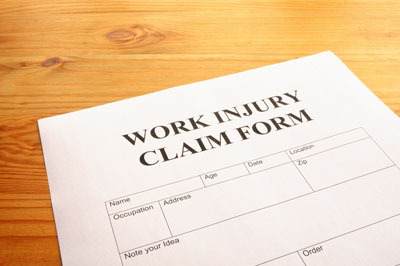 Employers should always develop a clear goal for injured employees with reasonable time frames. Once the rehabilitation plan has been developed and signed off it becomes the employer’s responsibility to ensure the plan is executed. In other words, the employer must manage the claim. Action: Set targets and stick to them. Maintaining accurate records of activities is the most basic of tools for claims management, but the one where employers often fall down. Remember the rule of the document: “If it is not documented it was not done.” WSIB is not interested in what you think you did, they need to know exact facts and these are proven through accurate and detailed documentation. Keep accurate minutes of meetings and telephone conversations. Keep records of missed meetings, failure to reports, any phone messages left for the affected employee, medical professionals or WSIB. Keep a running log of RTW activities and progressions. Detailed documentation will enable an employer to clearly define the claims that have occurred and the work they have done to assist the employee. Action: Ensure your documentation process is thorough and verifiable. Do not add conjecture or personal opinions to your documentation — stick to the facts. Claims management begins a long time before any injury occurs. As an employer you need to work closely with your employees to eliminate all injuries before they occur by building a safety culture in your workplace. The relationship you build with your employees will go a long way towards the success you will have with any claims you need to manage. Employers also need to develop good relationships with WSIB claims managers. By doing so, the employer will create an advocacy relationship with WSIB, in which WSIB can become a resource and not just an insurer. Proper claims management will result in a reduction of claim cost, a reduction in the severity of claims and, ultimately, a reduction in the number of claims. Claims management begins prior to an injury occurring and needs to be handled in a systematic fashion to allow for optimal success. By presenting a proactive approach with a strong internal responsibility system that works with employees, medical professionals and the WSIB, you will begin any claim on a positive note working towards a successful conclusion. Action: Remember that an open-door policy works both ways. Get out on the floor and develop relationships with your employees. Encourage employees to be open and honest with you. When dealing with WSIB, remember that the claims managers are dealing with large and complicated case loads. Being respectful and patient goes a long way towards claims resolution. Through these 10 steps and by enabling manufacturers to pool their expertise, resources and sharing of best practices, EMC members are developing world-class health and safety programs, which are both reasonable and functional in small to medium sized manufactures in Ontario. EMC is also working closely with the CBI (Canadian Back Institute) Health to introduce a unique one-day Claims Management Training Workshop, to give claims managers a powerful base for improving the success and sustainability of their programs. Doug Rourke is the manager of environmental health & safety and safety groups at Excellence in Manufacturing Consortium. For more information about EMC, visit their website at www.emccanada.org.